My father was born in the Employees Hospital in Fairfield in 1931. The hospital – which was later renamed Lloyd Noland Hospital in honor of its founding physician – was a company hospital of Tennessee Coal and Iron, a subsidiary of U.S. Steel. 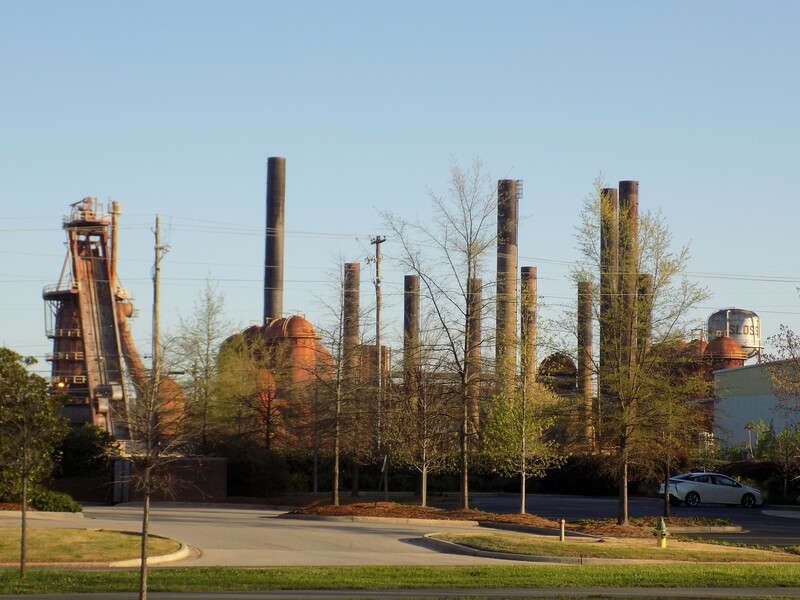 Dad grew up in Ensley, within sight of U.S. Steel’s mammoth Ensley Works, where my grandfather worked. Lloyd Noland Hospital went through changes in ownership, was closed in 2004, and razed in 2009. The mining districts and steel mills around Birmingham, and the communities that sprang up around them, hold an ongoing fascination for me. My mother’s family moved from Cullman County to Birmingham in the 1940s and her father transitioned from farmer to steel worker at a steel fabrication factory. Mother’s parents lived in west Birmingham throughout their decades in the city. The house I most attach to them was in Fairfield Highlands. The Fairfield Works of U.S. Steel was visible down in the valley from their back yard. 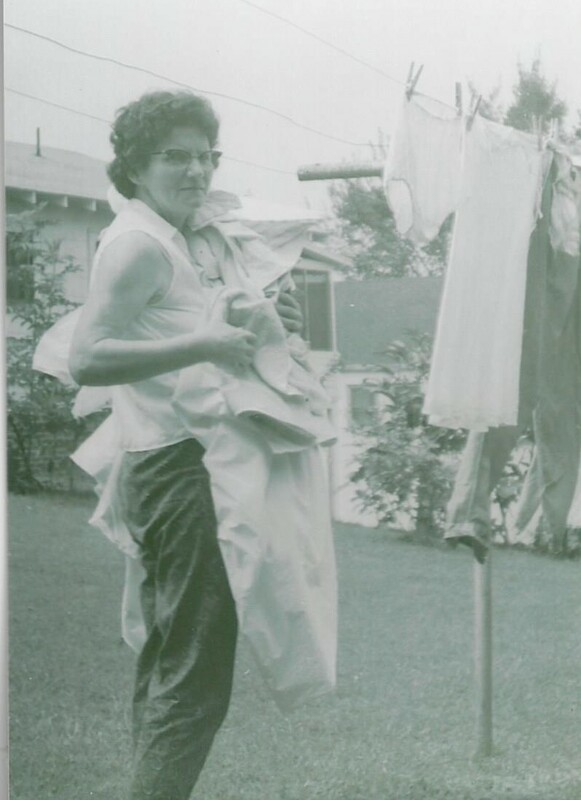 I remember my grandmother taking a damp rag to wipe the factory soot off her clothesline when she hung clothes on the line to dry. My ongoing interest in the industrial history of the Birmingham district was greatly satisfied by a new exhibit hanging in the Birmingham Museum of Art this spring (www.artsbma.org). 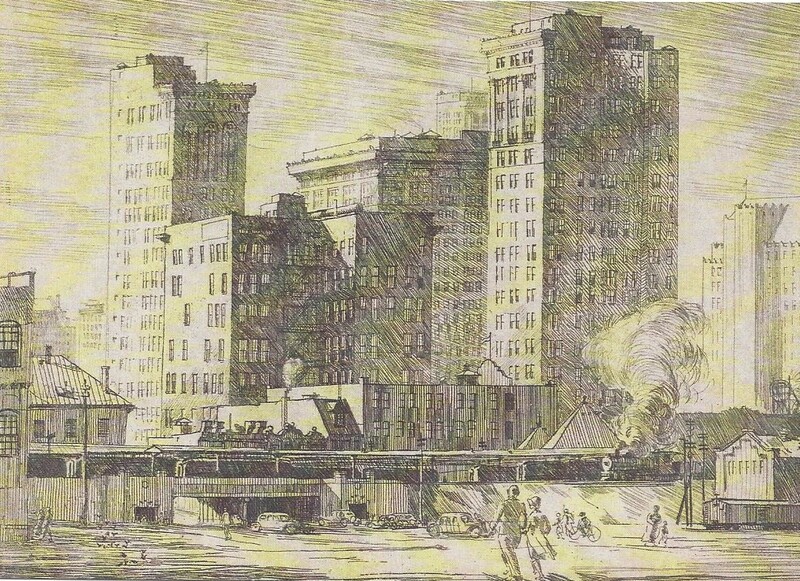 “Magic City Realism: Richard Coe’s Birmingham” is a collection of over sixty pieces – mostly etchings and a few paintings – by Alabama native Richard Coe. The pieces were made during Coe’s residency in Birmingham during the Depression in the mid-1930s. Sometimes, it feels like the only history of Birmingham that gets any attention began in 1963 but the place has a rich and fascinating 90+ year history prior to that watershed year of the Civil Rights Movement. Coe’s Depression-era works capture a moment of that history and make me feel closer to my own family’s Birmingham. 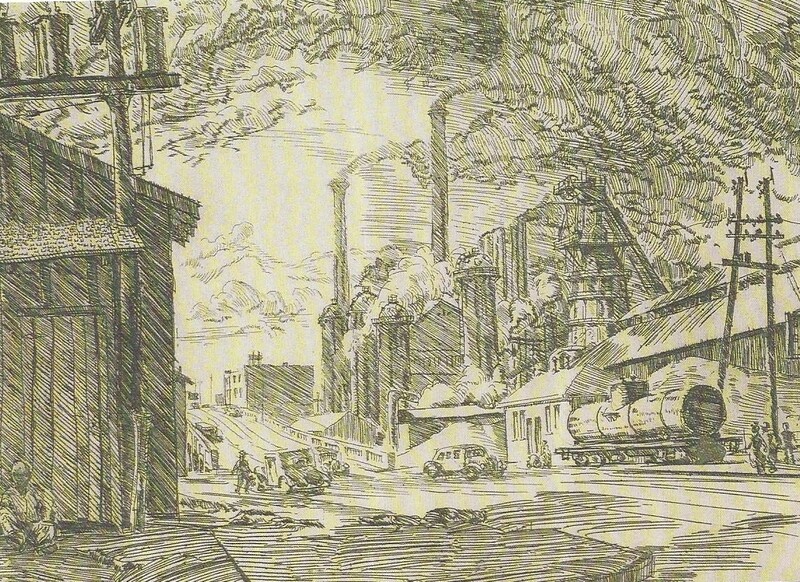 His etchings capture urban images of downtown and hospitals and churches; industrial scenes of factories – in action sometimes, idle other times; and domestic scenes of neighborhoods and humble houses – often in the shadow of the factories. One of the paintings features a neighborhood “No Nox” gas station. The 1930s images of the downtown city center feature many of the same buildings that made up the core of the downtown when I was a young child in Birmingham in the ‘50s and 60s, before newer buildings in the ‘70s and ‘80s moved the city center a few blocks north and transformed the skyline. 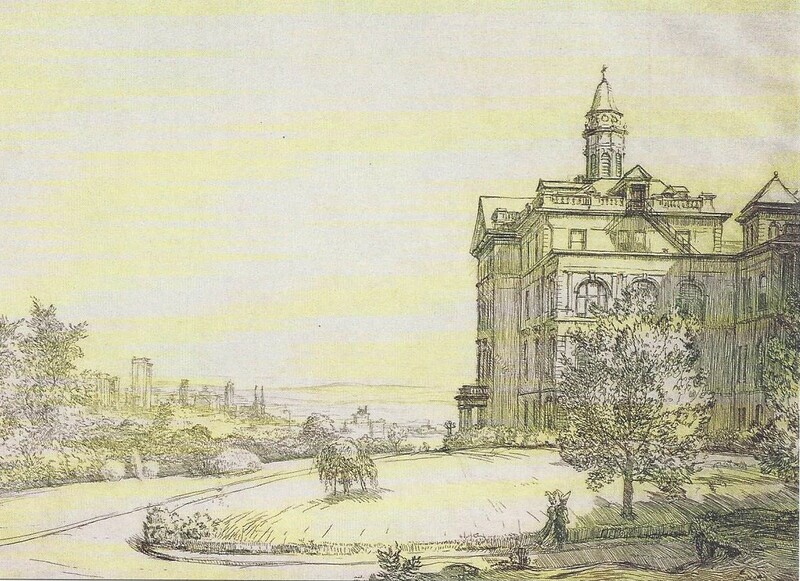 Part of my mother’s family’s lore is evoked by a Coe etching of St. Vincent’s hospital on the city’s southside. My mother and her mother before her would recount how my great-grandmother, Dura Graves McCarn, was in St. Vincent’s when she was dying at a young age. When it became clear that nothing more could be done, my great-grandfather, John Houston McCarn, ordered her brought home. Aunt Bertha sent her car and driver to pick Dura up and transport her back to Cullman to be at home with her family in her final days. Four decades later, when I was quite young, my grandmother Harbison was hospitalized at St. Vincent’s; it was still in the same imposing old brick building pictured in a 1930s Coe etching. Nuns still walked the grounds in full traditional habit, just as they do in the foreground of Coe’s depiction. The St. Vincent’s of the 21st Century is very different – another megalith serving the city’s southside medical complex. Coe’s domestic images often feature humble houses and outbuildings, rickety fences, the inevitable clothesline. 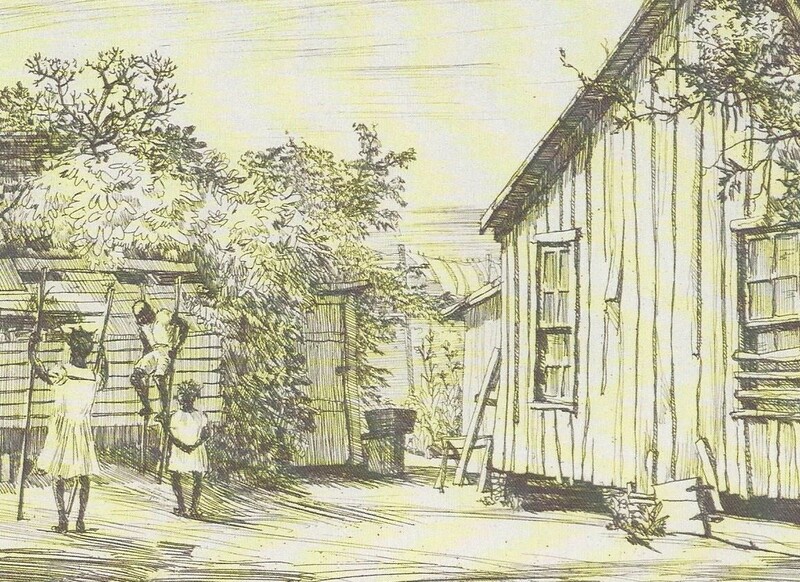 Most often, the people featured in these environments are African American – women talking off a front porch; children playing with a “Pet Possum” or walking on makeshift stilts; a birdhouse perched atop a roof. But it’s the industrial scenes that I find most pleasing and beautiful in the series. Sloss Furnaces alongside First Avenue North is pictured at its peak, before it was abandoned in 1971 and became today’s National Historic Landmark and industrial museum (www.slossfurnaces.com). Steel mills, steam plants, streetcar barns, railroad tracks, even the desolate landscape of a slag pile evoke a Birmingham of the past that I still find incredibly vibrant and rich in industrial-era history. As I drive through Birmingham now I still seek out the remains of that industrial past which wasn’t so long ago, really, but seems incredibly distant and almost quaint. These are the memories that are inspired by Richard Coe’s art at the Birmingham Museum. And any sighting of a clothesline always brings a flood of memories to mind. This entry was posted in Richard Coe's Birmingham and tagged Alabama art and artists, Birmingham Alabama, Birmingham Museum of Art, Dura Graves McCarn, Eula Harbison, John Houston McCarn, Lloyd Noland Hospital, Magic City Realism: Richard Coe's Birmingham, Richard Coe, Saint Vincent's Hospital, Sloss Furnaces National Historic Landmark, U.S. Steel - Ensley, U.S. Steel - Fairfield on April 3, 2018 by gedwardjourney.